WE’RE 80 AND STILL STRONG! 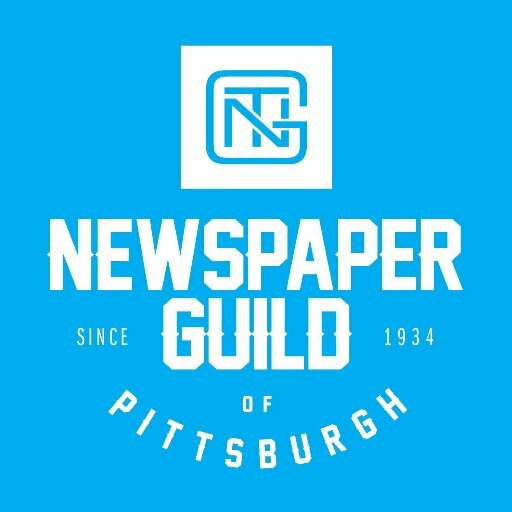 The Newspaper Guild of Pittsburgh/CWA Local 38061 celebrated the 80th birthday of its founding with a great party at Penn Brewery on Saturday, May 3. Attendees called it one of the best ever. Nearly 150 members, retirees and guests–and two fine managers, David Garth and Mila Sanina–sipped and noshed and talked and laughed during the four-hour shindig organized with aplomb by Dan Gigler. Ben Howard deserves a shout out for recommending the location to Dan. The event also honored Pete Zapadka–accompanied by his betrothed, Amy — upon his retirement from the PG after 38 years. The Guild presented him with a gift card. During two raffles, conducted with flair by Andrew McGill , 10 lucky Guild members won gift cards as well. The winners of a $50 gift card each were Kate Giammerise, who also received acknowledgement for traveling the farthest, and Dan Gigler. Winners of $25 gift cards were: Laura Schneiderman, Greg Victor, Sean Hamill, Andrew McGill, L.A. Johnson, Ben Howard, Janice Crompton, and Patrice Noel. It was a really fun time and got everyone in the mood for our next outing — the tailgate and Pittsburgh Pirates game on July 19. If you haven’t already, see Ed Blazina for your $10 ticket that admits you both to the tailgate, replete with food and drink, and the game, after which there will be fireworks!!! For more pictures, go to Facebook!